We are mint chocolate addicts — and so our dear friend and chef/artist/extraordinaire Lisa tested out several batches until she came up with these incredible mint chocolate cupcakes for our big celebration this weekend. The frosting is light, creamy and super minty with a lovely shaving of chocolate on top. The cupcake pairs perfectly, airy and light, but not the slightest bit dry. This cupcake is pure bliss! Lucky for us, there were leftovers! And we’ve enjoyed a bit of mint chocolate heaven each day since! 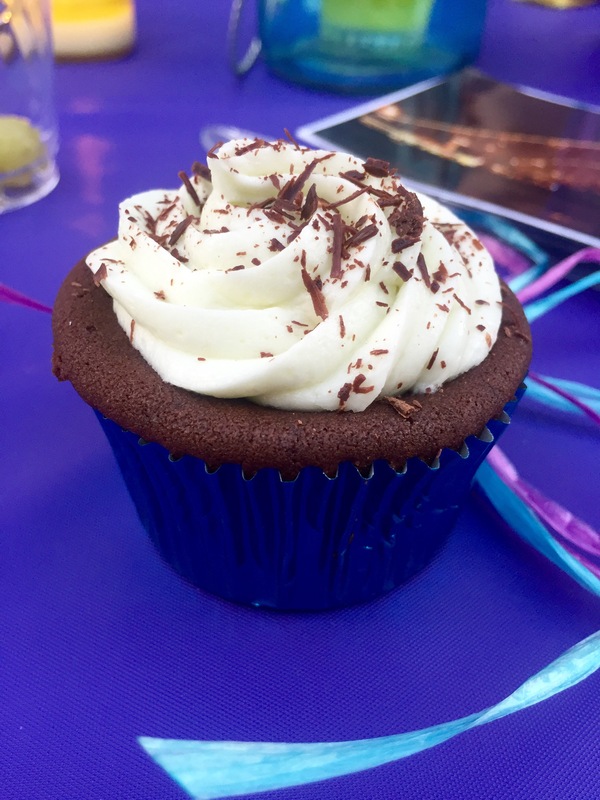 Today’s #OneGoodThing was Lisa’s magical mint chocolate cupcakes! Hooray for leftovers! And many thanks to Lisa!!! Day 198 of 365. And Day 564 in a row! Enjoy does not begin to cover how I feel about those wonderful cupcakes! Worship, is more like it. So good!!!! Thank you again, Lisa!!! !